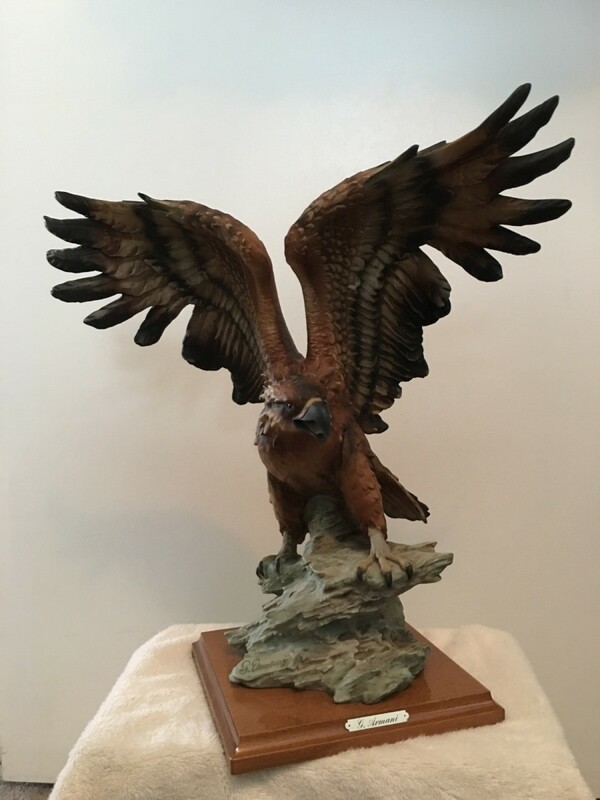 Can you tell me which eagle this is and approximately when it was made? 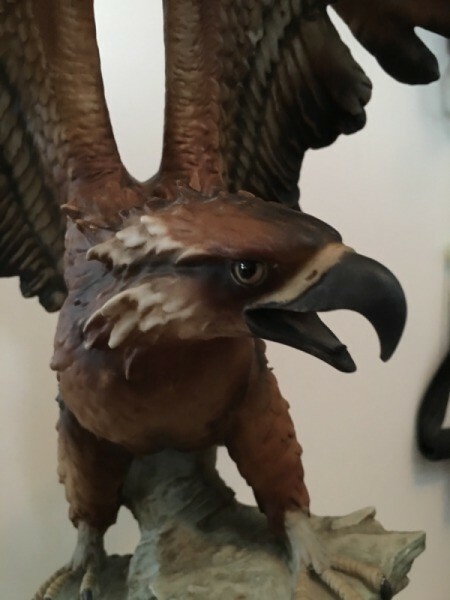 I have found similar eagles but none like yours so maybe someone else will be able to help you. It is unusual to not find something even in their archives but this statue did not show up. If someone does not answer your question then you may want to ask for an appraisal as that would supply you with all pertinent information. There are some online sites that offer free appraisals but you have to apply to 2 or 3 to get all of this information. Barneby's also offers appraisals but they charge $17.